Turn your Breville Blend Active into your very own sous-chef! 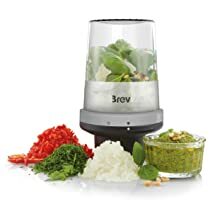 This new Breville Blend Active Accessory Pack is the perfect partner for your Blend Active personal blender and opens up a world of delicious possibilities; a quick and easy way to chop, puree, whip, grind and juice your way to foodie heaven. 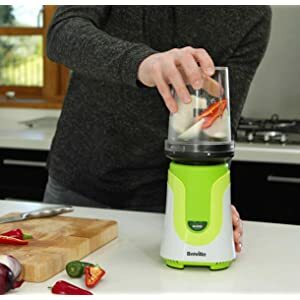 You can already make speedy, delicious and nutritious smoothies and shakes with your Blend Active personal blender, now meal times just got easier with the Breville Blend Active Accessory Pack, turning your Blend Active blender into your new best friend lending a helping hand in the kitchen. A handy set of tools to have at your fingertips, these compact accessories are so easy to attach and take up minimum worktop or cupboard space. Keep them alongside your Blend Active Blender and they'll be ready when you need them. The possibilities are endless: Hummus, guacamole, pesto, curry pastes, spice blends, salad dressings, freshly ground coffee; even crepe batter and fairy cake mix; all created in a matter of seconds. And with dishwasher-safe parts, cleaning is a breeze too. The 450ml Compact Food Processor makes light work of finely chopping ingredients such as onions, garlic, ginger, herbs and chillies; all done in a matter of seconds – chuck it all in and press blend on your Blend Active Blender base unit till you achieve your desired result. 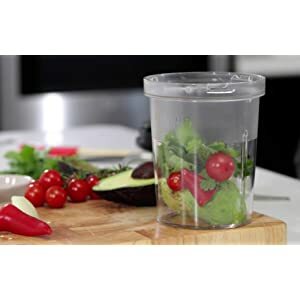 It can also make speedy dips and dressings and even coulis or bun mixes and the gears inside the processor means it won’t over process your ingredients. The whipping disc is a speed demon. Whipping up cream – literally in seconds. 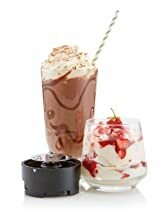 It can make velvety smooth milkshake and can froth warmed milk for a tasty cappuccino. 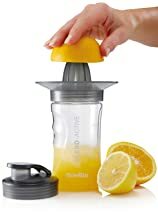 The stainless steel grinding mill is used with your existing Blend Active Blender blade and is perfect for quickly and easily chop nutritious nuts and seeds to add to smoothies or desserts; grind whole spices, peppercorns and coffee beans to get a truly fresh rich aroma and taste experience. As a bonus – the grinding mill can double as a protective blade cover when the unit is not in use. Accessories attach to your Blend Active base unit in the same way the bottles do with a simple twist to lock; then press the Blend button to operate as normal. Keeping your Blend Active Blender and Accessory Pack to hand means it’s always ready to easily help with those pesky meal time prep jobs that you just need done quickly. Compatible with all Breville Blend Active 1st generation and Pro models (sold separately). 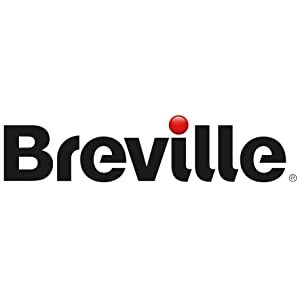 Breville believes that creativity shouldn’t be out of reach. They believe that with the right tools anything is possible. They want to help you make the most of your home. Drink, toast, mix, whisk and chop your way to a world of pure imagination. Creative solutions, inspiring ideas. No excuses, no limits. Let Breville help to turn on your creativity.